Centrally located between San Francisco and Lake Tahoe, Woodland offers awesome opportunities for quick and easy weekend adventures. Here at StorQuest, we’ve put together some of our favorite destinations just a few hours from the Woodland area to help point you in the right direction. With hundreds of miles of navigable waterways just waiting to be explored, there is no better place to spend your weekend than floating along the Sacramento River Delta. Strap your boat up to the trailer, set up your fishing rods, and get ready for an adventure of a lifetime. Water lovers will enjoy getting towed behind the boat on a wakeboard or skis and launching themselves off the wake. Others love testing their luck for largemouth bass and stripers that can reach up to 50 pounds. Whatever you enjoy, you can find it at the Sacramento River Delta. Just 112 miles from Sacramento, Tahoe City is the perfect weekend getaway no matter the season. During the cold months, Lake Tahoe is the ideal spot for skiers and snowboarders looking to test their limits on the slopes of Heavenly Mountain. When the weather starts to heat up, people grab their boats, jet skis, and paddleboards out of storage to take advantage of the lake’s clear blue waters and amazing weather. There are only a few places in the world that can match the mysticism and raw beauty of Mount Shasta. From relaxing hot springs to incredible landscapes, historic Mount Shasta is something you have to see for yourself. Throw on your hiking boots and get ready for the 129-foot twin waterfalls known as Burney Falls. Wine, dine and live the good life in California’s legendary wine country just 60 miles from Woodland. With more than 400 wineries, you’ll have no problem finding the one that perfectly satisfies your palate. Seeing the production from the early stages of grape growing to fermentation and bottling, you’ll truly appreciate the years of work that it takes to create the perfect bottle of wine. 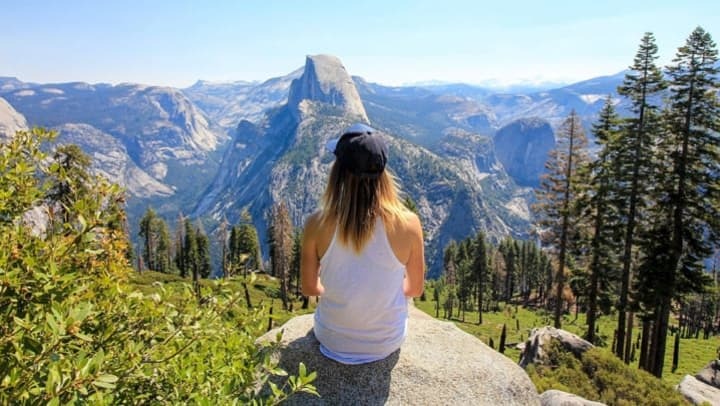 Lace up your hiking boots, pack your camping gear, and head to the endless outdoor adventure that is Yosemite National Park in the Sierra Nevada Mountain Range. Just over 200 miles from Woodland, CA, this historic national park is well worth the drive. Known for its epic granite cliffs, thundering waterfalls, giant sequoia trees, massive mountain peaks, and awesome wildlife, Yosemite Valley is an outdoor enthusiast’s dream just a couple hours from Woodland, CA. At StorQuest, we encourage you to push yourself and awaken your sense of discovery. With so much to do and see in the Woodland/Sacramento, CA, area, the opportunities for exploration and adventure are endless. If your outdoor gear is starting to pile up, you can trust that StorQuest will take good care of it until your next adventure calls.